Conceived as an every day CPAP machine for people with active lifestyles, the Z1 CPAP is small enough to get lost in your laptop bag. 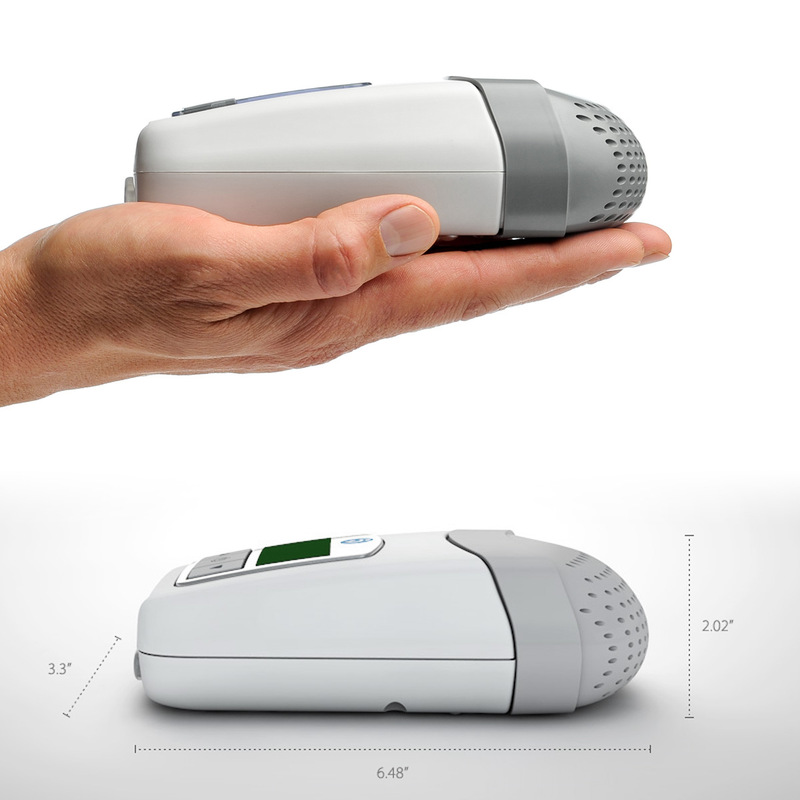 In fact Z1 is the smallest, lightest, most portable CPAP in the world. 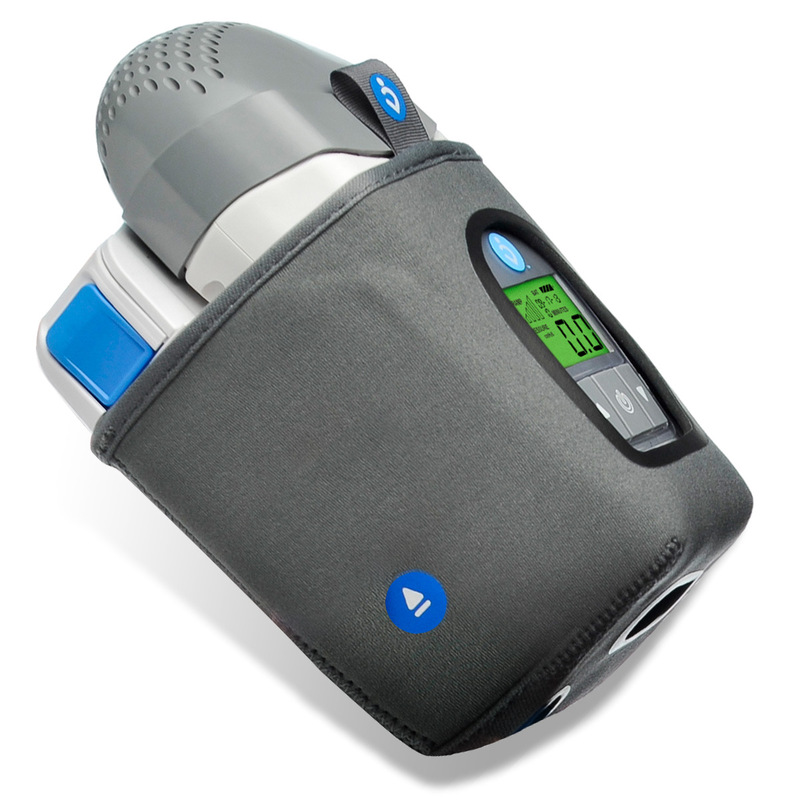 Z1 is a premium CPAP machine with a wide pressure range, Z-Breathe pressure relief, a whisper quiet motor, compliance capabilities, an optional integrated battery, and a host of other premium features. With Z1, you can always take sleep therapy with you and... Sleep well! Just 10 Ounces -- One of the World's Smallet & Lightest CPAP Machine: Designed from the ground up to be elegant and refined, the Z1 CPAP has been considered and measured from every angle to ensure it is as small and comfortable and capable as possible! The Z1 is tiny at 2.02 x 6.48 x 3.3 inches and ultra-light at 10 ounces. It is FAA Approved and durable so it will fit easily into any overnight bag; but it's sleek styling and modern looks make it a great option for your nightstand too. Optional Integrated Battery Pack: For nights away from fixed power the Z1's optional PowerShell Battery Pack provides an innovative, integrated solution merging the machine and battery in one convenient package. The PowerShell holds one battery that will last 1-2 nights between charges. For extra nights away add additional batteries -- at 9 ounces each they won't weigh you down! The Z1 PowerShell Battery Pack can also be used as a uninterrupted power supply, automatically taking over during a power outage or blackout. Whisper Quiet Operation: The Z1 is built for sleep so it is very quiet. In fact it's one of the quietest CPAPs on the market, producing only 26 dBA on average of sound during operation. 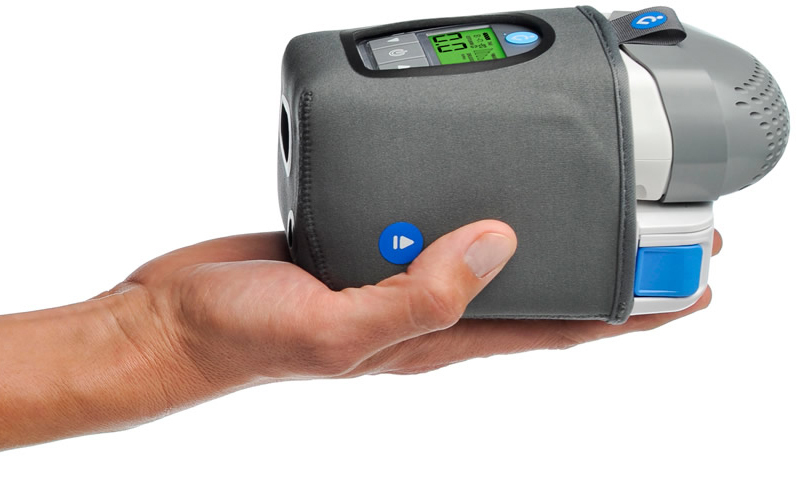 Auto Altitude Adjustment & Universal Power Supply: The Z1 CPAP automatically adjusts to altitudes up to 8,000 feet above sea level; and it will adjust automatically to an airplane's cabin pressure. When traveling outside the US the Z1 will convert the voltage automatically so you can continue enjoying safe and comfortable sleep therapy wherever your next adventure takes you. Automatic Leak Compensation: To ensure you're always receiving your prescribed sleep therapy pressure the Z1 will automatically compensate for minor air leakage and mask leaks. If Z1 detects an excessive air leak that could be detrimental to therapy its display screen will warn you to ensure that the leak is corrected promptly. Ramp Up To Comfort: For people who prefer to fall asleep with therapy at lower pressure levels, the Z1's ramp comfort feature is a perfect solution. Ramp slowly increases therapy pressure over time, from 0 to 45 minutes, so you can breathe naturally as you fall asleep. 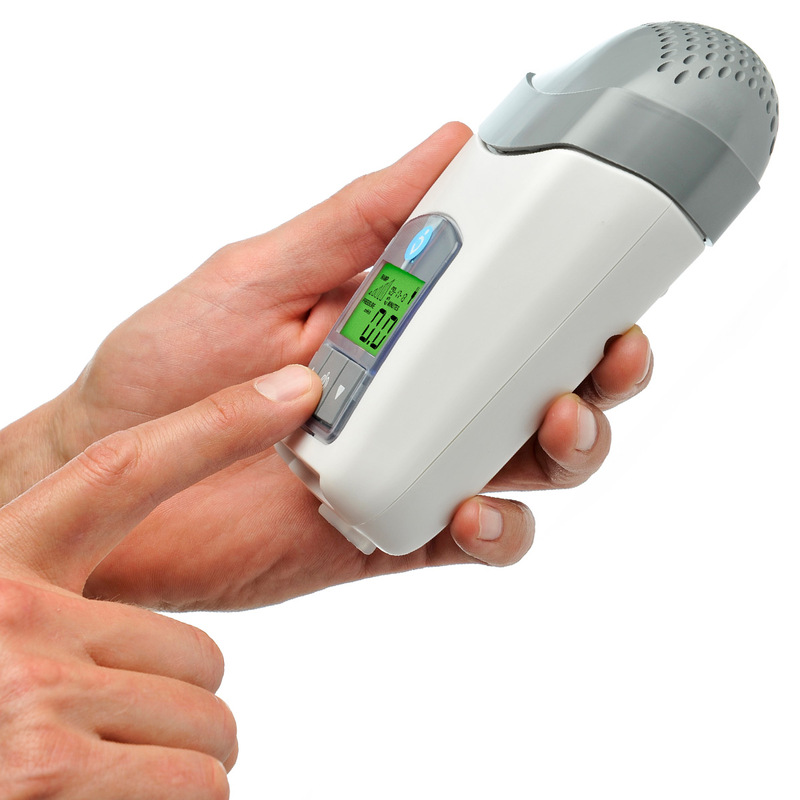 Intelligent LCD Display: The Z1's large, backlit LCD display provides easy access to your current pressure and sleep therapy settings; but don't worry the display has an auto-off function! When it's not needed the backlight turns off so it won't keep you up as you drift off to sleep! HME (Heat Moisture Exchange) Humidification: If you prefer added humidification when using sleep therapy, the Z1 CPAP comes complete with a disposable HME Waterless Humidification Filter. A unique alternative to bulky water based humidifiers, HME Filters capture heat and moisture from your sleep therapy air and exhalations, preserving and increasing humidity to prevent your airways from drying out during therapy. In addition the Z1 is compatible with external humidifiers like the HC150 Heated Humidifier from Fisher & Paykel. Compatible with Any CPAP Mask: The Z1 CPAP comes complete with a Universal Tube Adapter and a 4-foot SlimStyle tube. If you prefer longer tubing or performance tubing you can use that too; and Z1 tubing has standard connectors so it can be used with any mask on the market. Convenient Compliance Tracking: If you want to track therapy compliance -- for yourself, for your job, or for your doctor -- the Z1 CPAP makes it easy. The Z1 records compliance data including events and time of use. Free Z1 Software (Currently for Windows PCs with a OSX Version Coming Soon) presents data in a user-friendly interface where you can track your therapy progress and provide it to others as needed. Always Up To Date: One of the most unique features of the Z1 Travel CPAP is the ability to upgrade the machine's firmware to implement performance refinements, add new features, or improve capabilities. To perform a firmware update all you need is a home computer connected to the internet and a USB Cable. Remote upgrades are a great way to ensure your Z1 is always performing at its best. Currently Z1 Firmware updates require a Windows PC however Mac compatibility is in the works. Download the latest Z1 Firmware Update. In The Package:Z1 Portable CPAP Machine, Fleece Travel Bag, 2 Air Filters, Custom Tube Adapter, SlimStyle 4-Foot CPAP Hose, Universal AC Power Supply with Power Cord, Micro USB Cable, Printed Instructions, One HME Humidifier Filter, and 3-Year Manufacturer's Warranty. Integrated PowerShell Battery Pack available in shopping cart. Yes This product is approved by the FAA for use on all commercial flights within the US; and all international flights that depart or arrive in the US. Always contact your airline prior to your flight to confirm any requirements they may have -- such as a copy of your prescription or a letter of medical necessity -- for allowing your device on board. Tubing Compatibility:Universal Tube Adapter Provides Compatibility with All 22mm Standard Tubing and All 15mm Slim Standard Tubing. Default Settings: Ramp Off, Z-Breathe 2. Humidifier:Heat Moisture Exchange (HME) Filter Humidifier Included for Optional Use. Also Compatible with External HC150 Heated Humidifiers. BUTTON UPDATE:When the Z1 CPAP was originally released the three buttons on the face of the unit were identified by white symbols printed on the smooth button's surface. To better facilitate use in low light conditions, HDM has now updated the Z1's buttons with raised symbols and removed all white printing. Works great and easier to travel with. It was small and light, but it was a little louder than expected - still ok to sleep with. The whole process was easy and I received the unit very quickly. I love how small the cpap is. It fits into a little pouch the size of a crown royal bag. It's only downfall is the high pitch noise and whistle from the motor. I don't mind it but it keeps my wife awake. I travel alone and it even gets to me some nights. I use the muffler and a Resmed P10 nasal mask. The noise travels up and out the mask. It will quiet down some if you use the moisture filter. I bought the Z-1 to take on vacation so I wouldn't have to lug my larger CPAP around. While very compact and easy to carry on the plane, the first night it was so loud I hardly slept. I purchased a fan the next day to wash out the noise, but the next three nights I slept with pillow over my head. Easy to travel with, but loud if you are a light sleeper. Great little unit, love the battery packs -so perfect for travel, BUT although the unit is silent, it is extremely noisy at the mask. 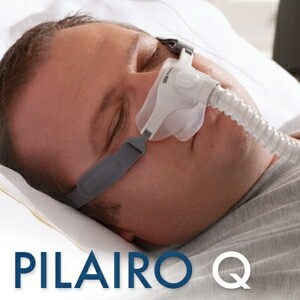 Great little CPAP and works well. A little bit noisier than my other travel CPAP but the size difference is a major factor. The hose and mask takes up more room. When space is at a premium (I travel by Motorcycle a lot), this CPAP takes up so little room. I mainly ordered the z1 to use in our fifth wheel but also liked the idea of not having to tote a much larger cpap on the occasional trip by air. The size is amazing for what it does. It is a little noisy but I soon got used to the sound. I love the idea of traveling with it and having it for a backup should my other machine fail. Nice small machine. However I was unable to use because of no humidifier. I used for about 4 hours and woke up with very soar throat. 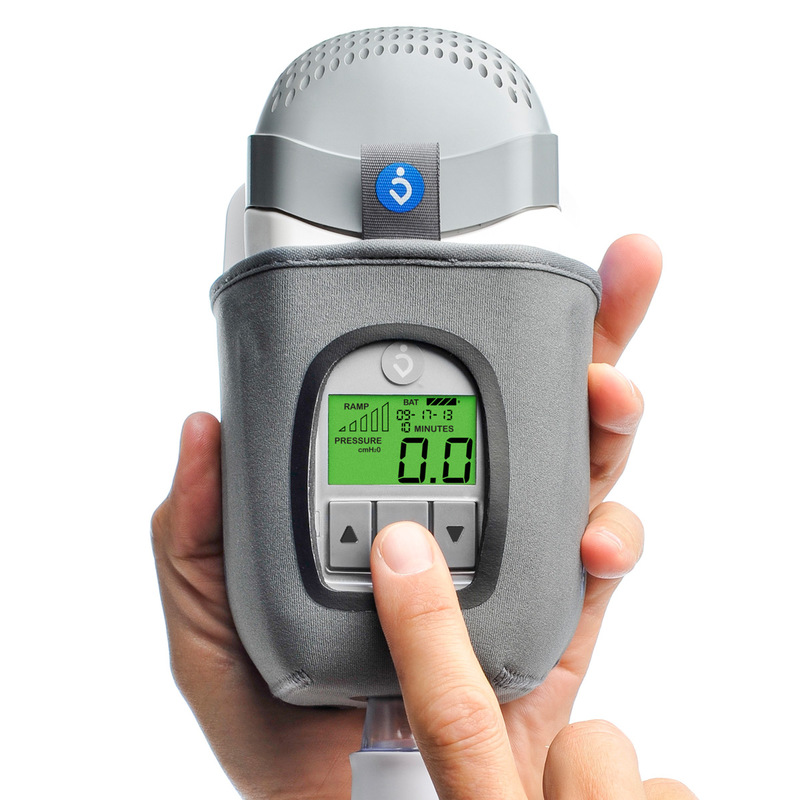 As advertised, the Z1 Ultra Portable CPAP is indeed, ultra portable. It is tiny and exceptionally light. However, I have to use earplugs due to the excessive noise at the mask level, which has been experienced by other users. For this reason, I can use it when traveling alone, but not as an everyday machine, as it would keep my wife awake. I am disappointed for this reason, but glad to have an option for great portability. I love the compact size and light weight. But the is a lot of noise - seems like at the mask level rather than motor noise. Same mask with my at home resmed is virtually silent. The lcd screen is not protected at all and the unit only lasted a couple trips before it was not readable at all. If you are going to travel with it, find some kind of padded case. Because of the two things, I'm very disappointed in it. Great for travel, love the battery back up function for when the power goes out, love how it fits in my carry on! What I hate is the Z-Breath function is not as good as the EPR on my Resmed, no where close to the correct pressure relief. I have tried all the settings. And I hate that I need to pull the battery out or else it drains- a simple on/off switch would have been much nicer. I don't use this one much and fell like I wasted my money, mostly due to the pressure relief. But I love the size for travel. Excellent phone service in explaining procedure. Cpac arrived next day after doctor fax. In perfect shape. I have set it up and made sure it is working. I have not used it yet. Waiting for over night trip since it is an ultra light weight model. Only complaint is it did not come with a case and none seem to be advertised. I like this a lot for travel of several days in places with electricity (Europe, Middle east, Canada, US, Nicaragua, etc). It is quite noisy; this needs some attention in updates. Also, the rechargeable battery is outrageously expensive. Come on, we now more about rechargeable batteries. I keep this in Myrtle Beach where I travel 4-5 times a years. It's nice not having to pack up my Respironics machine and haul it on a plane. I have found some tricks to make it work better: There a tendency to wake up in the middle of the night with dry mouth, so I keep a few sugarless hard candies under the pillow and pop one in my mouth. I also keep a sipping glass with a straw if I need a sip of water. 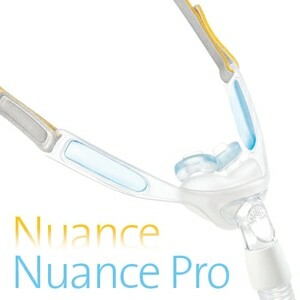 What a pleasure to use this device for travel instead of the bulky Respironics I use at home and used to have to lug around. Everything arrived complete and intact with clear instructions and a travel bag that held all the equipment. Altho some users have complained of noise, neither my wife nor I noticed a problem. The online chat prior to purchase was quick, responsive and helpful. I was completely satisfied with the product and the process from beginning to end. I bought this for travel. The unit it self is very quiet. But there is a large amount of "wind" noise at the mask. This is true compared to my larger unit using the same mask. I check the pressure and it is the correct. It is like the air is moving at a much higher velocity than my normal unit. I have no other explanation but it is quite distracting. This little CPAP is fabulous! It even lights up with a green night light when moved to assist in settings or to turn off or on. The exhaust breath relief feature is a true joy as well. Portable, light weight and powerful. A real Gem! Small but mighty... good that is! I have used a GoodKnight CPAP for 10 years and just got tired of traveling with this moderate sized machine... especially when I saw the Z1. The first night I used the Z1 I woke with a headache like those I used to get before I started using a CPAP. For some reason the Z1 had to be set 1 cm/H2O higher than my GoodKnight for the same relief. I wish it didn't require an adapter for the hose and that the power adapter was not in two different pieces but otherwise, this is a dream. Great little machine. My husband says it is quiet. However it is louder than my Resmed that I use at home. Seems like the sound is coming from my mask, but there are no air leaks. Perfect for travel. The Z1 is an impressive CPAP. It was just what I was looking for with it's compact size for travel. The only thing that took a little getting used to when you inhale it revese up. The change in the sound is what took some getting used to. Other than that I'm 100% satisfied with the CPAP and CPAP Exchange. The noise level at the mask is much louder than I expected. I might be able to get past that when traveling because of the advantage of the size. However, there is a whistle when I exhale that I can't get rid of. Different masks, different tubing, same result. Too annoying to use. My wife hasn't had a problem with any of the multiple cpaps or masks that I have used over the years, but this whistle keeps her awake. My Z1 CPAP came just in time for our motorcycle weekend trip. I tried it out the night before we left and it dried out my nose/throat to the max even at the height of humid summer. It was very quiet and easy to pack. I did not get the battery pack. I have a pressure of 6. I don't understand how any technical person would think that a little sponge would capture your breath's moisture and give it back to you!! They need to figure out how to incorporate humidity so that customers don't wake up to a dried out nose and back of the throat. I woke up to the pain and had to stop using it. I could not wait to get home to my big bulky CPAP with its humidifier. The ordering process was very easy and very friendly. It is great for traveling. So much easier to get through the airport and into your suitcase. The only issue is...Makes a lot more noise than my standard machine and therefore is a little hard to get used to. The Z1 preformed well. It is as quiet as my other CPAP machine but MUCH more portable. Less to pack when traveling. The battery does not seem to last long enough but I purchased the car charger to keep battery charged when not near an outlet. I am very impressed that I do not need a water reservoir when using the HME filters. No dry throat. Great product! Travelling with my bulky Philips CPAP is so frustrating getting through airport security and setting up to for sleep at night. I was excited to find a smaller travel unit but I was skeptical that a machine so small could provide me with adequate pressure for my severe sleep apnea. I have been testing this unit for the last 2 weeks and I can say that it's amazing. It works without water for the humidifier, and although it is a little louder than my other unit it is so small, compact and easy to use and I slept all night. I especially like the convenience of the battery pack. I live in south Florida and due to summer storms we lose power a lot. Nice to be able to travel with a smaller CPAP in my carry on. I was very happy with cpapXchange. Easy to order, and very fast shipping. Thanks! I truly enjoy this product! Great product, light weight and compact for a road warrior. I see many travelers with the large CPAP bag and can imagine still having to travel with that large CPAP. Great and easy to use product. It is terrific--I'm so glad to have found it. Easy to travel with. Light weight and adequate for the traveler. I did not get the extra battery as I feel this would not be frugal....best unit for travel. Excellent service and communication. Amazing device! Small and perfect for travel... No more big bags to carry. Thus this one of my preference to buy a travel size, although I just tried one night and it works perfectly. For the quality of plastic case overall is not impressive as it looks cheap material... It would be better if there was an upgrade for firmware to make it auto set (Auto CPAP). Great Service & Great Equipment! Thanks cpapXchange for a great value on an amazing device! I received it in one day after sending you my Rx, although it took me about three more weeks to actually open the box and use the Z1 I purchased! What an amazing little machine! I'll probably be purchasing another for my go bag. Thanks again! Was skeptical, but now am truly impressed. I knew that I wanted a portable device for traveling, but was concerned whether it would work effectively enough - and be quiet enough - for occasional trips. So far, I am very satisfied on all counts. It would be great if it also included the Auto-CPAP type feature found on the ResMed machine which I use at home. Overall the Z1 is a good value and I'd recommend without reservations. 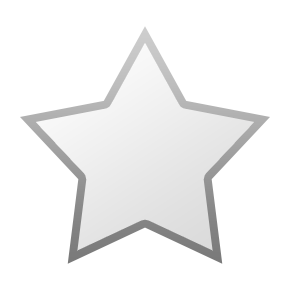 I also want to specially recognize cpapxchange for their great customer service. Nat was helpful and patient, which meant a lot to me. Product is fabulous. Light and great for travel. Almost as quiet as my REsmed S9. your service was just great. 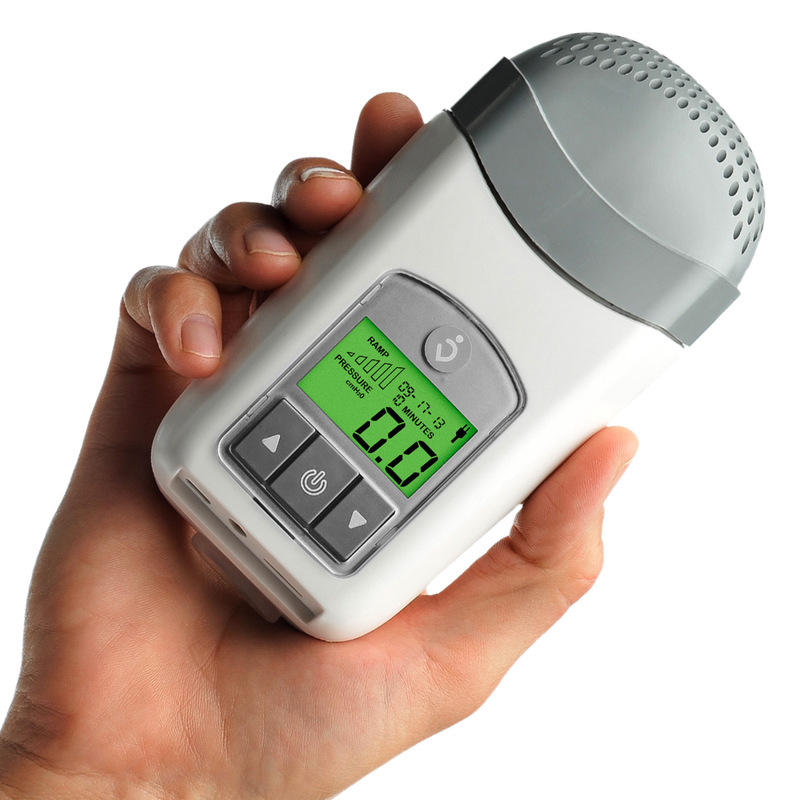 The HDM Z1 portable CPAP machine is a good looking, light (10 ounces) unit that is so small it easily can be held in the palm of your hand. Unfortunately, it does not live up to its claim of very quiet (26 dBA) operation. The 26 dBA measurement must have been made at the machine which itself is relatively quiet, emitting only a soft wining noise. At the level of the mask, the unit is much louder and interferes with rapidly falling asleep. 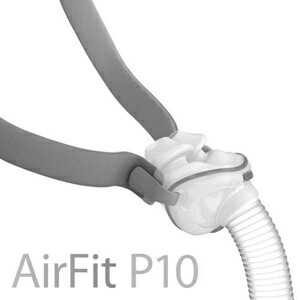 The problem is not related to the mask, as using the same mask on a Resmend S9 CPAP machine produced almost no sound. I was able to reduce the sound somewhat by using a 6 foot tube rather than the 4 foot tubing supplied with the unit and adding the in-line HME filter between the tubing and the mask, but it still takes me a good 30 minutes to fall asleep because of the noise. I would recommend this system for travel, particularly air travel, where size and weight are important, but not for everyday use. I have had this new cpap for a couple of weeks. I haven't had the chance to take it on a trip yet, but I have tried it out at home. It is great! I had no trouble adjusting to it. It is a little noisier than my bigger machine, but I don't have a problem with that. Can't wait to take it on a trip and carry it in my small suitcase. Yea! No more big bag! Worked well for me on a long trip to Asia BUT... there should be a real on/off switch that cuts off the battery. Having to struggle to remove it between uses is a real chore for those of us with arthritis. I found that I didn't need to use the humidifier I purchased with the machine, but it would n't have mattered since it is NOT adaptable to worldwide current like the Z1. I dread changing the air filter... that too is a real chore. By the way, be sure to get approval from your airline if you plan to use the Z1 with battery on the plane... Japan Airlines really was strict. I had to show it EACH segment of my trip! HDM said that the battery would last for 2 nights at my pressure of 9cm of water, it doesn't. I have tried it twice on battery power. I got 6 hrs on the first charge and 7 hrs on the second try. Also if the CPAP & battery are in the power shell the machine is on constantly draining the battery. This is a poor design feature in my opinion, which just increases the bulk for camping and negates the power shell protection claim. Great service and quick shipment from cpapXchange. The Z1 is so quite you almost don't realize it is ON. I have been very pleased with my purchase and would recommend anyone that has limited space and/or travels to highly consider purchasing a Z1. Also the Wisp Mask is a good choice, but you may have your own preference of mask. cpapXchange can help you achieve an excellent experience with your prescribed therapy. This is the smallest, lightest, quietest machine I could image. I had a remstar plus before and thought it was pretty compact but this blows it away. This isn't cheap but for anyone who travels even occasionally you NEED this.